Seafood and San Francisco…can two things possibly be any more perfect together? 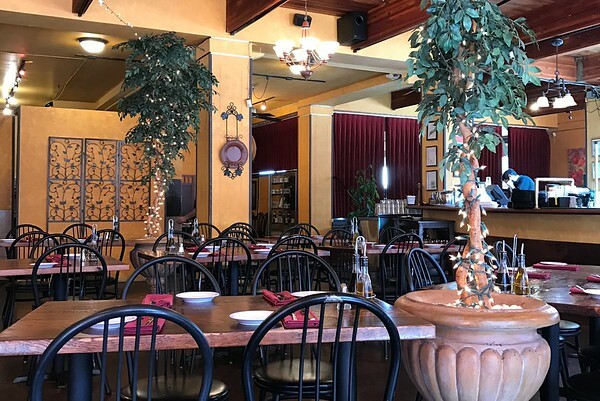 If you are looking for Italian and seafood, Cioppino’s is one place to put on your list for sure! Located right on Jefferson Street in the heart of Fisherman’s Wharf, it would be hard to miss this cute little place! Cioppino’s was all decked out in red, white and green with flowers blooming everywhere. It was easy to see why they had a patio full of people soaking up the warm sunny day. Such a welcoming place for lunch. Cioppino’s is a very warm and inviting restaurant. They really make you feel like you are coming into their home instead of a business. The hostess was nice enough to sit us next to one of the giant windows right up front. We were able to see out onto the patio and feel the breeze coming in thru the large window without getting too much sun. The restaurant bar was located right next to the main entrance and featured a giant sculpture and bright skylights. It was really nice to have so much natural light coming in. Taking a look at the menu, we found that there were many options available and they all sounded pretty wonderful. We asked the waiter for his suggestions and he gave us a few ideas that were spot on for what we were hoping to find for lunch! For an appetizer, we decided on the Caprese and the Red Chili Shrimp and Calamari and for the main, we couldn’t pass on trying their signature dish and namesake, the cioppino, along with the fish & chips and the roasted shellfish medley. Appetizers came out just in time because we were starting to get hungry! 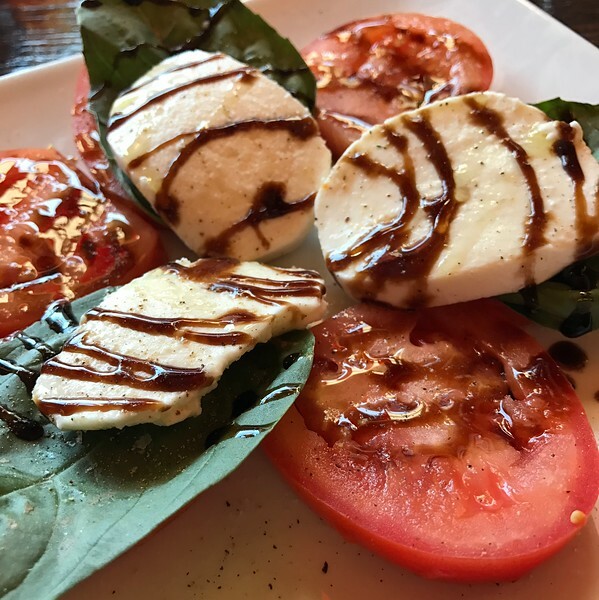 The Caprese was a fresh mozzarella with roma tomato and large fresh basil leaves finished with a drizzle of balsamic, olive oil, salt and pepper. This appetizer is very light and refreshing while the balsamic drizzle was a bit on the sweeter side. 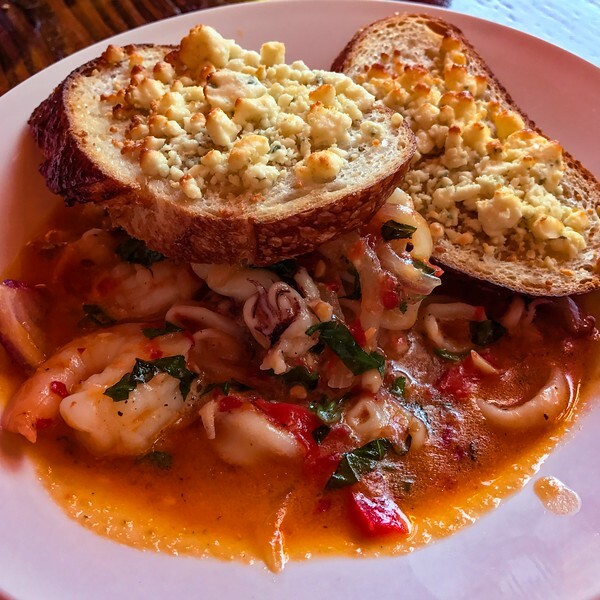 The spicy red chili shrimp and calamari was just as described…a red chili sauce with garlic, white wine, bell pepper, onion with a side of gorgonzola crostini. For those who may be wondering…yes it really is a bit spicy, but a very tasty and flavorful dish! Following right behind the appetizers was the main course. What did we get again? Oh yeah, the fish and chips, roasted shellfish medley and cioppino. The fish and chips was such a treat! The pieces of fish were pretty generous portions and the breading was not too thick. The breading did not seem to be spicy and it was not greasy like fish and chips can be sometimes. The seafood platter ending up being a gigantic mound of food that seemed like an impossible task to finish it all. This dish came overflowing with Dungeness crab legs, jumbo prawns, clams and roasted mussels. WOW…what a dish! This one could easily have been shared by two people! Last but certainly not least..the cioppino. A chunky tomato sauce with calamari, crab, shrimp, mussels and some slices of bread. This one was so yummy and even though there was no way I could eat it all, I definitely did not let the seafood go to waste! The cioppino was amazing and I can see why this is their signature dish! Having eaten way too much food (totally worth it!) it was time to head out and start walking. We needed to work of some of that lunch! We decided to head over to the Ripley’s Believe It or Not and Madame Tussauds San Francisco using our Go San Francisco Card to skip the ticket lines and get right in! 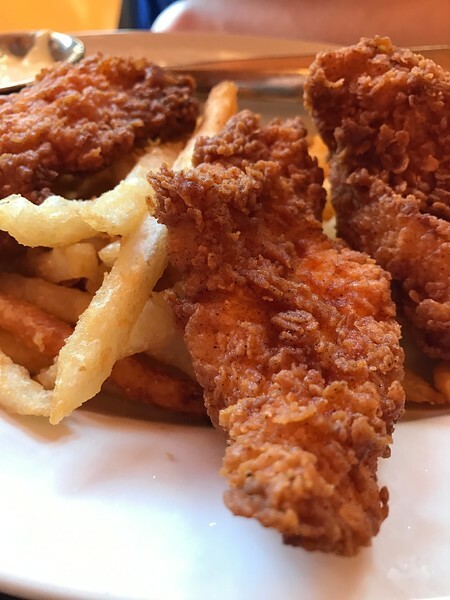 If you are heading that way be sure to check them out or visit their website: http://cioppinos.letseat.at/ to see the latest menu or make a reservation. This just put a smile on my face and brought back memories of my visit to SF. I went to Cioppino’s on my first night in San Fran and their pasta was the first thing I ever ate in the States. It really helped beat my jet lag. Oh I bet the pasta was amazing! Do you remember which dish you had? 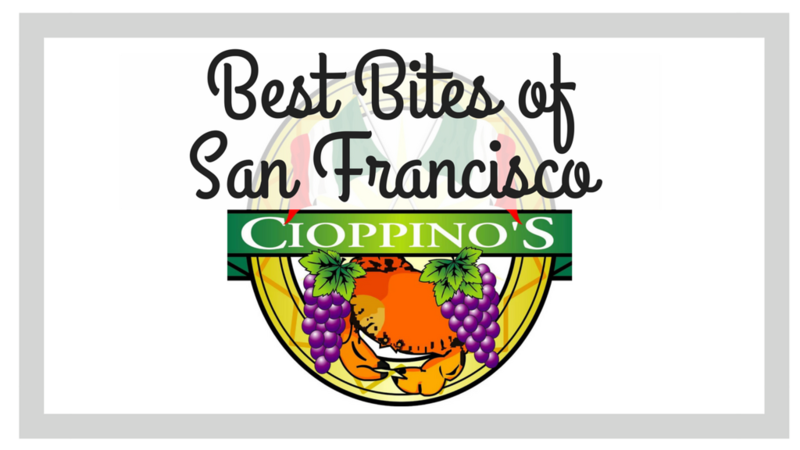 There really is no shortage of great eateries in San Francisco but it seems pretty clear that Cioppino’s is well up there. I must say, that roasted seafood medley looks absolutely incredible! I can’t truly express how tasty it was…if you in San Francisco you should give it a try! I love it! 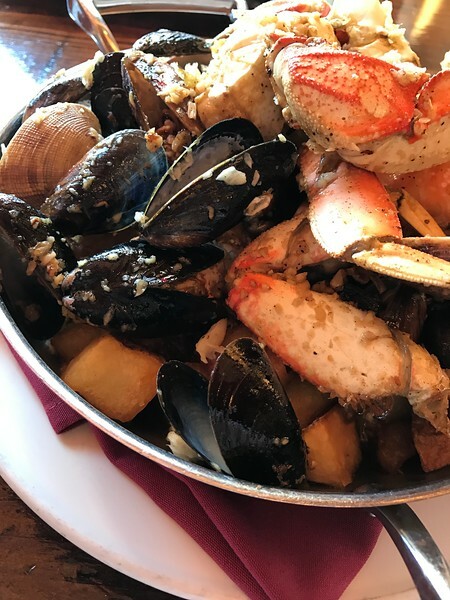 When traveling there, I have to say I was surprised that San Francisco doesn’t offer as many seafood options as I would have expected… but Cioppino is stellar! I noticed that too! Down by the wharf there were tons of seafood options but once you got a few block away, you wouldn’t see any. 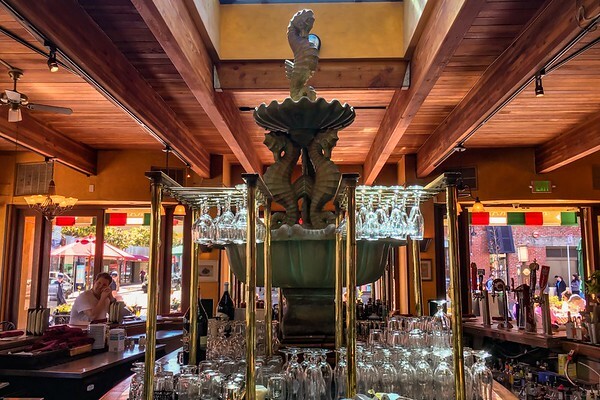 How long ago did you visit Cioppino’s? This was recommended to us and we didn’t go, HUGE regret right now, HUGE! I agree that it is on the pricey side but honestly some of these meals were enormous and way more than enough for two people to share! I was just in fisherman’s wharf and I was disappointed by how many chain restaurants were on every corner. How could you come to a culinary destination like this and eat at a chain? This sounds like a venue worthy of the destination. We’ve been to Fisherman’s Wharf many times but have never eaten here. The food looks delicious and we will have to try it next time we go up to visit my sister and her family. Good idea! After you have tried it let me know what you thought! I would love to hear what you ended up trying! Sounds like an amazing restaurant. The combination of seafood and Italian food is the best! I will definitely visit when in San Francisco. This sounds delicious. I’ve heard about cioppino’s before though I’ve not been there yet. I’d go! I’d definitely go, too. 🙂 That chili shrimp looks great! I’ve been to the Fisherman’s Wharf before but somehow missed out on Cioppino. I think my heart was set on getting Clam chowder in a bread bowl whenever I visit Fisherman’s wharf in San Francisco. Now seeing this post made me realized there are so many other good food place to try so I will be putting this on my list for the next time that I visit San Francisco. I couldn’t pass up the bread bowl either! They are so yummy! That food looks GORGEOUS. Anywhere that does seafood right is always on my list. I’ll have to get to Cioppinos next time I’m in SF! 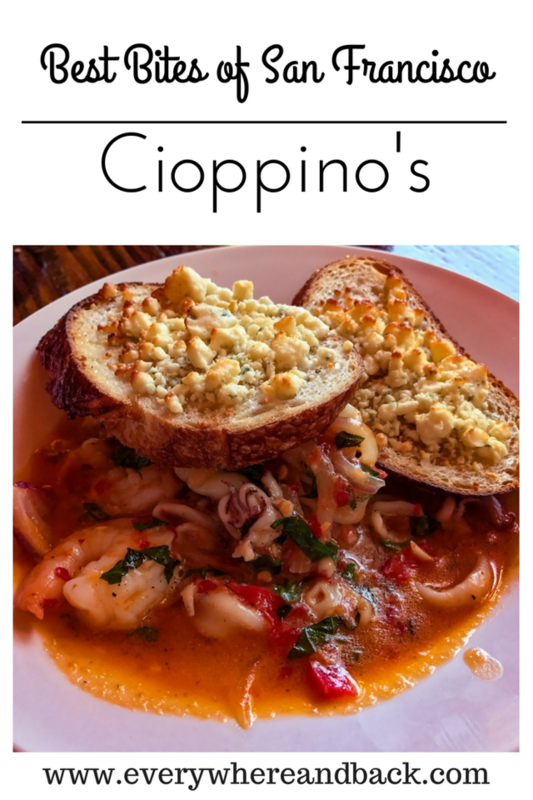 Cioppino’s will be a perfect place to check out! Lots of seafood to try out! Looks delicious! I go to San Francisco quite often and will give it a try next time around. As far as I know this one is just a single restaurant, but copping is a popular dish so it wouldn’t surprise me to see other restaurants that are similar. So that is Cioppino’s! Very famous. I would love to try that signature dish! It was amazing! If you can, I would recommend going! Brings back memories of my last trip to San Francisco. I loved wandering around Fisherman’s Wharf area and trying out the different restaurants. Will have to go back there soon. Cioppinos has been on my list for ever. Hope I get to SF soon – the food looks amazing! I would say move SF up on your list! It is an incredible city! So much to see and do! wow…I will have to look for cioppino at restaurants in Vancouver to see how it is. I assume it is a similar recipe? There’s nothing like good fish and chips! I’ll have to try this place next time I’m in San Francisco. Yum…seafood in San Francisco is incredible. I’ve been to several restaurants in SF, but never Cioppino’s. I’ll have to check this one out the next time. Thanks for the delicious pics. When you go, try to sit either on the patio or near the big windows up front. Great way to watch people while waiting for food to come. We’ve been to Fisherman’s Wharf a few times, but not eaten at Cioppinos. We’re always searching out great seafood and love having clam chowder when in San Fran. We’ll have to check this place out next time we’re there. I didn’t have their clam chowder but judging by everything else I would imagine it to be very good.